When searching for the perfect Denver home, location has everything to do with the sort of lifestyle you imagine for your family. Everyone has their idea of the perfect neighborhood, but actually finding that neighborhood can be a formidable challenge. A good starting point for your search would be University homes for sale. This neighborhood is located next to the University of Denver, which was founded in 1864 and is reowned for its business and law school. The older mansions and Victorian-style homes offer beautiful scenery for this largely residential part of town; the college campus offers various intellectual events and activities, often taking place at the Robert and Judi Newman Center for Performing Arts. There are also several everyday conveniences close to home including a variety of businesses and restaurants. Observatory Park plays host to the various outdoor activities in the area, including volleyball, tennis, baseball, and soccer. It is named for the historic Chamberlin Observatory, which was renovated in 2008 and is still operated by the university. Overall, this is an outstanding neighborhood that provides all the luxuries to suit your family's needs. 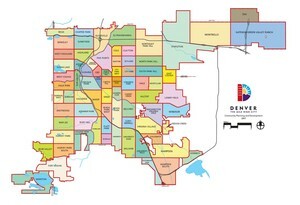 When contemplating which area of Denver is right for you, looking at University homes for sale first could shorten your search.